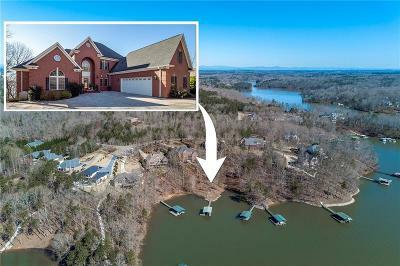 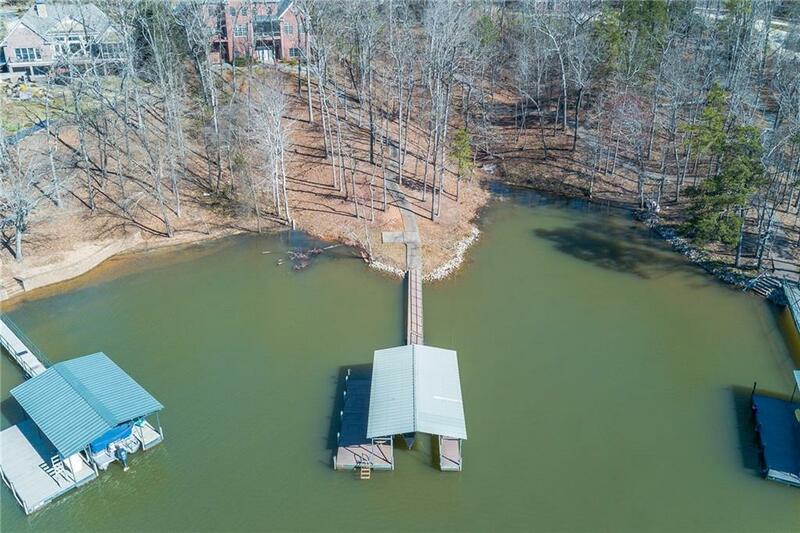 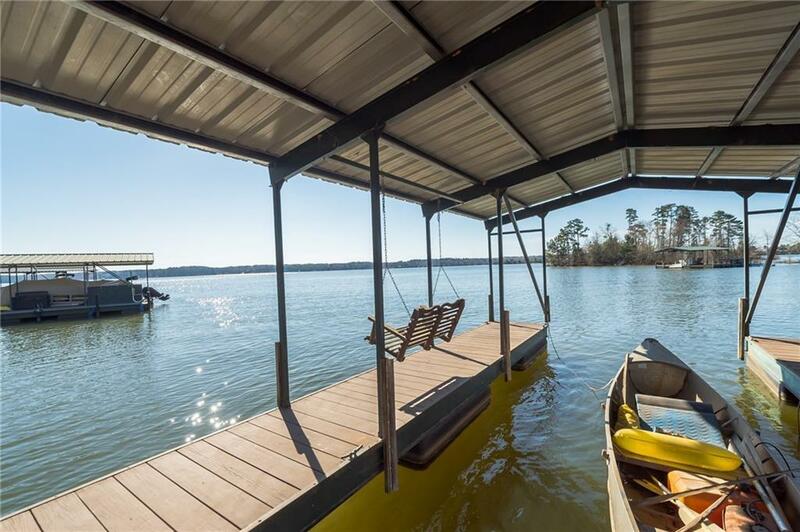 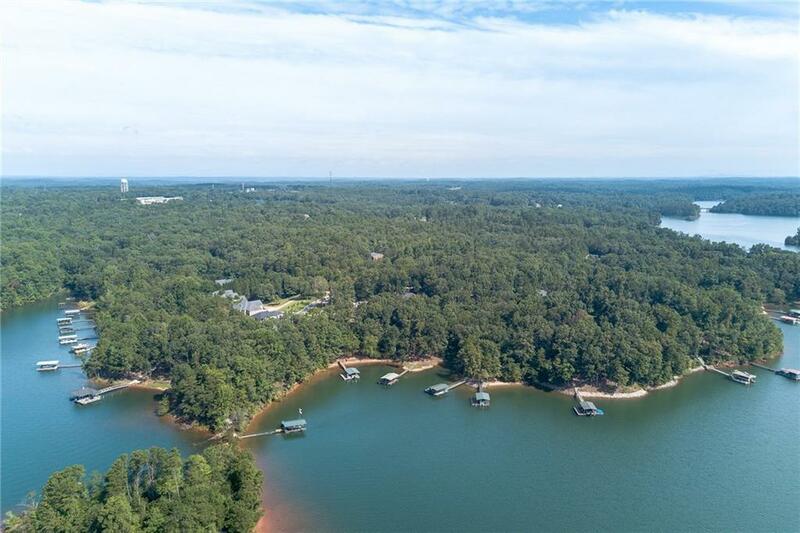 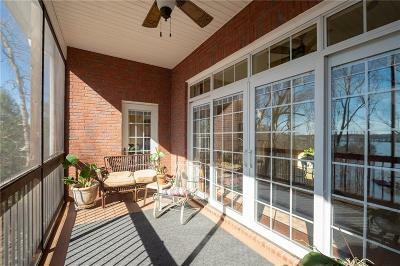 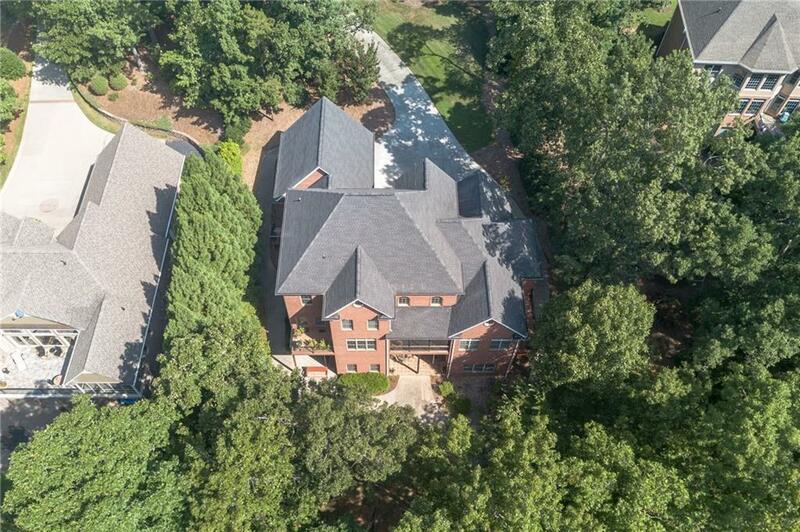 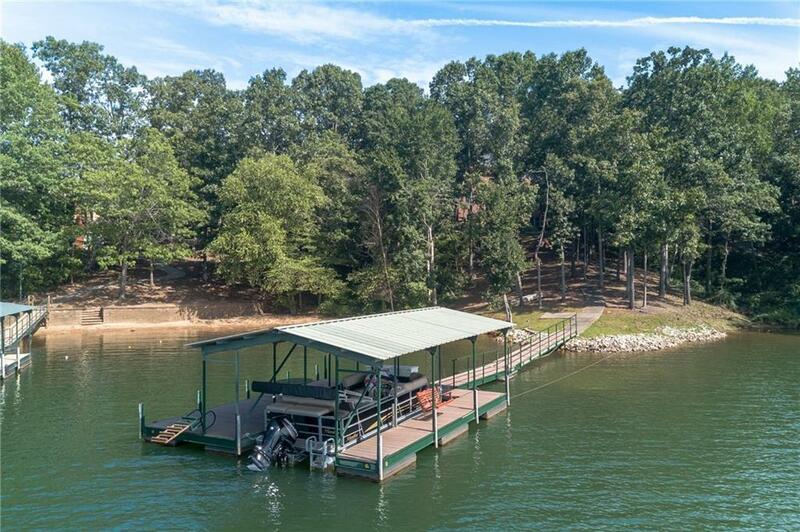 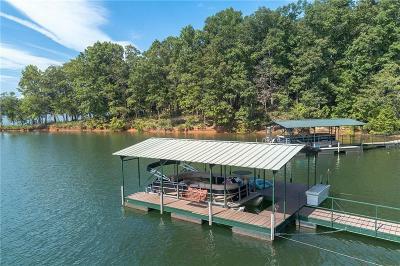 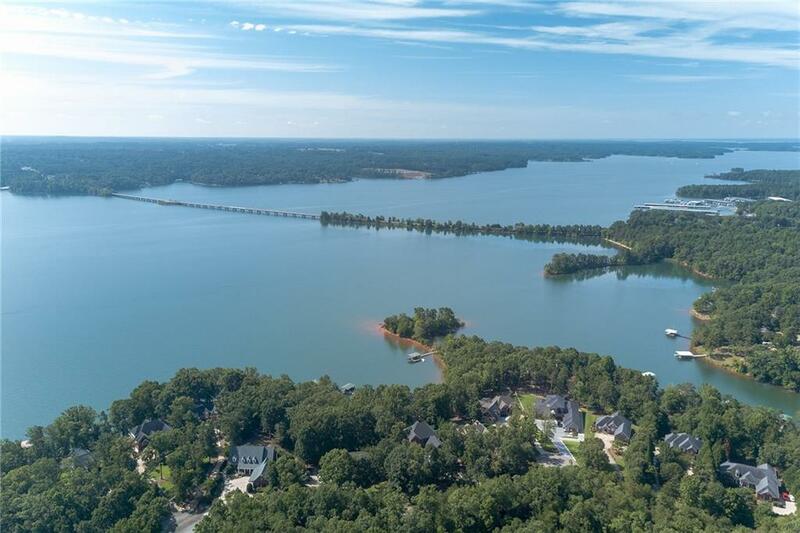 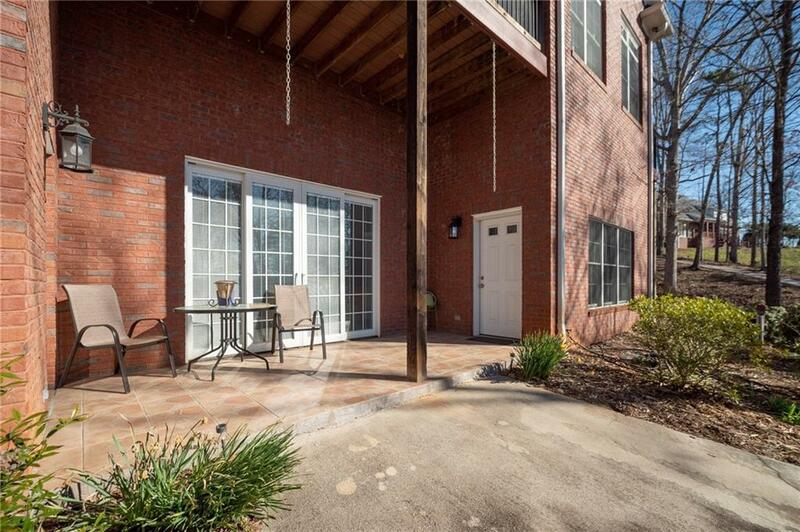 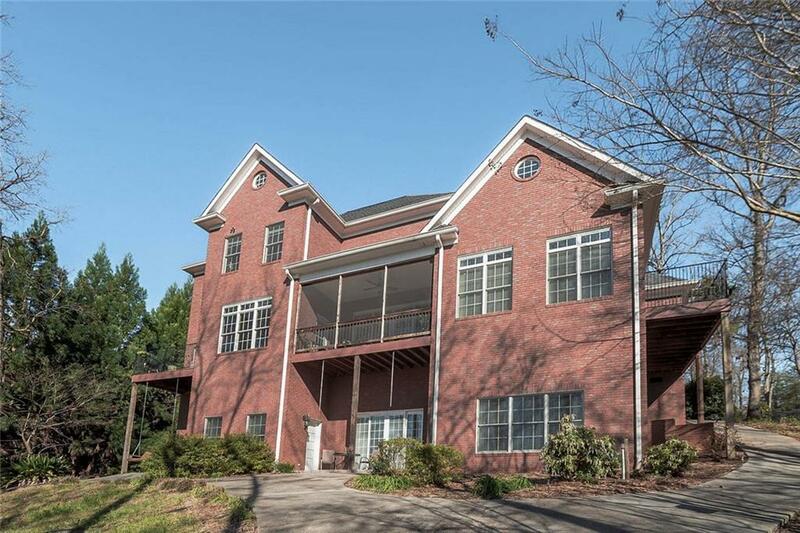 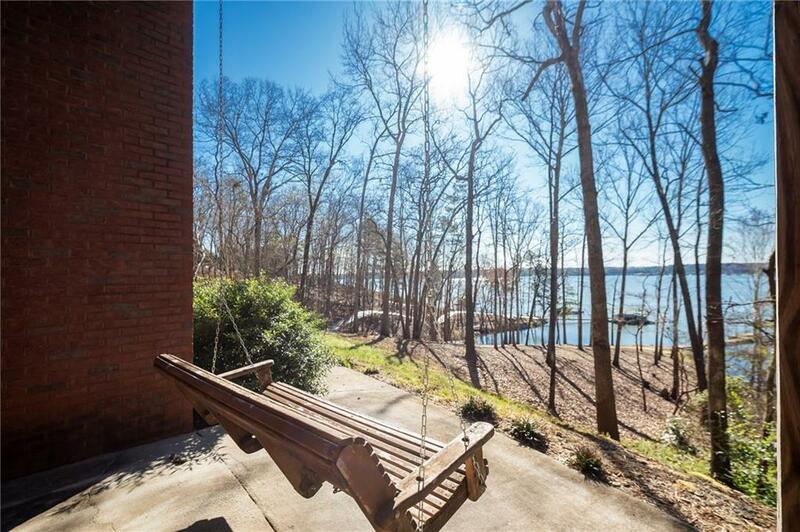 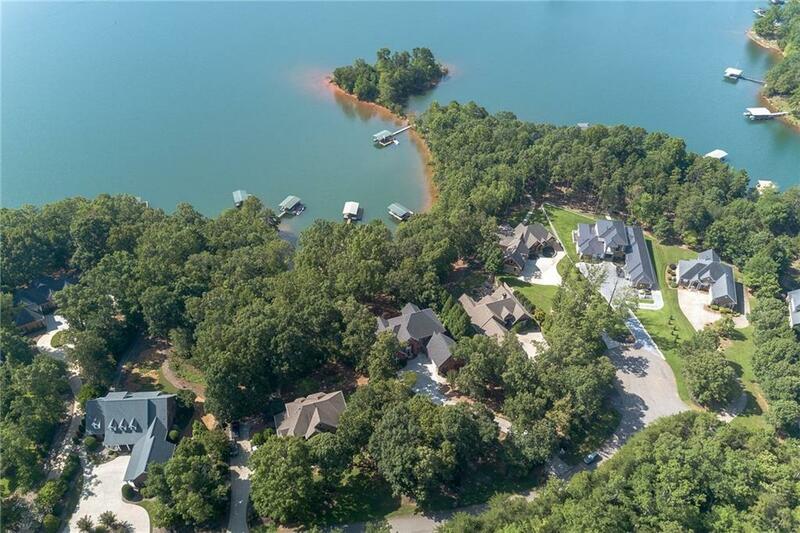 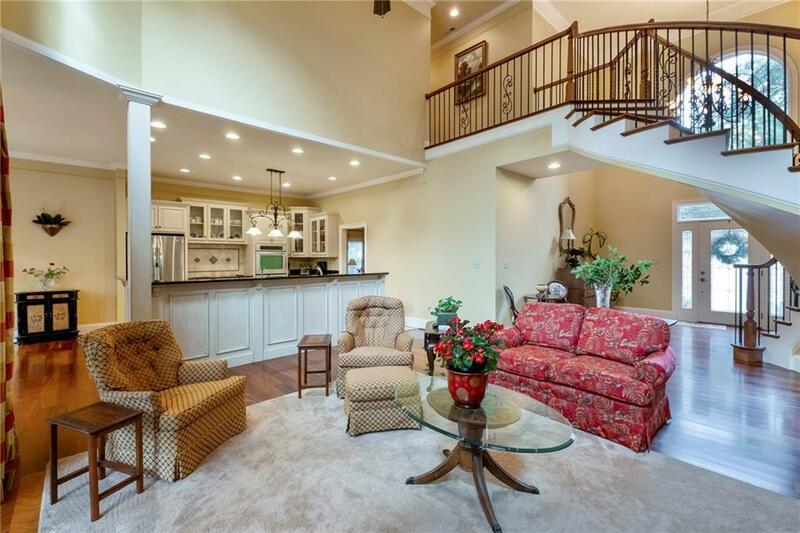 All brick Lake Hartwell waterfront home with 6000+ square feet of finished living space and an oversized 2.5 car garage located in the upscale River Pointe subdivision less than 2 miles from I-85 at Exit 14! This single owner home was custom built in 2008 with great attention to detail and includes countless upgrades you won't find elsewhere. 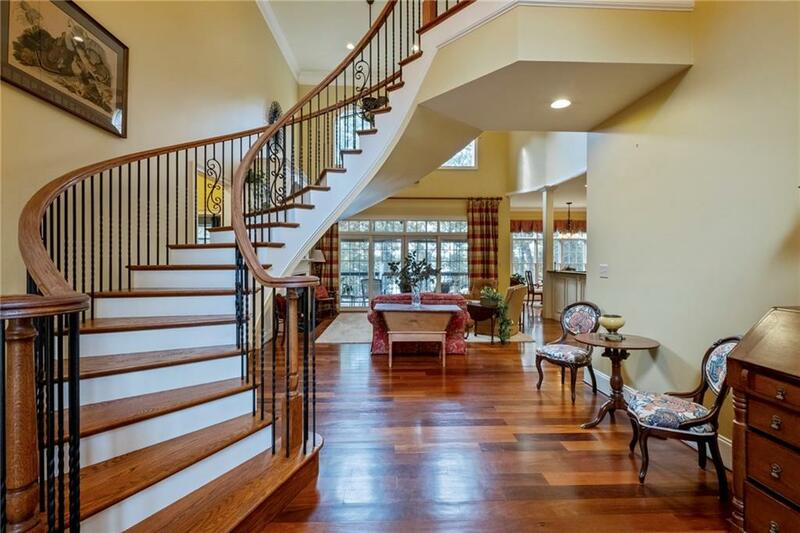 Upon entering the foyer, you're faced with an exquisite floating spiral staircase that will instantly excite anyone who's been mesmerized by wedding scenes and holiday decor on grand staircases in old movies. Wide plank teak flooring flows through the foyer and throughout much of the main level. 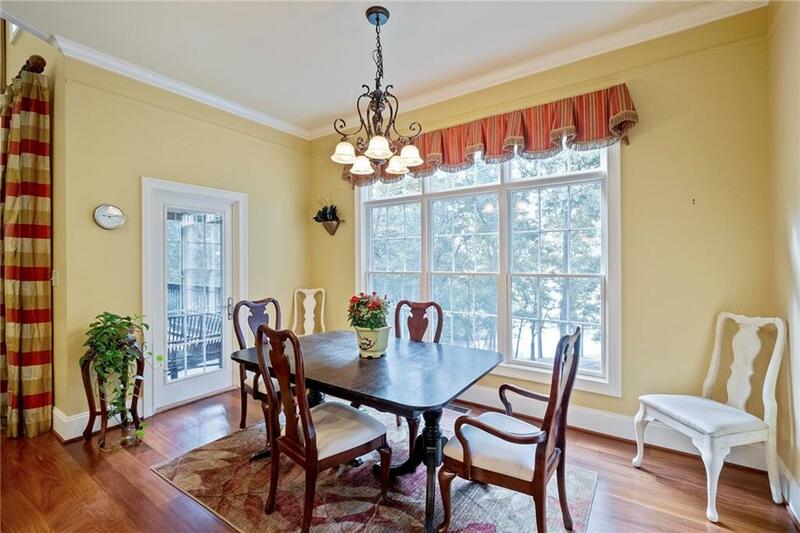 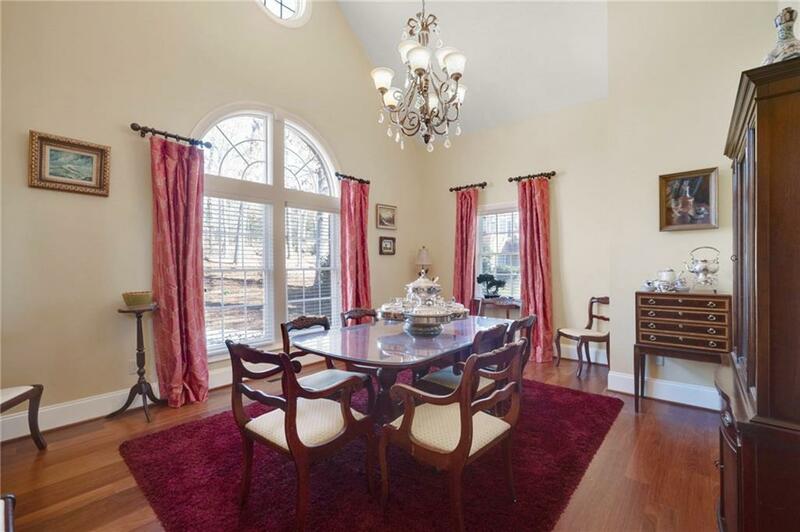 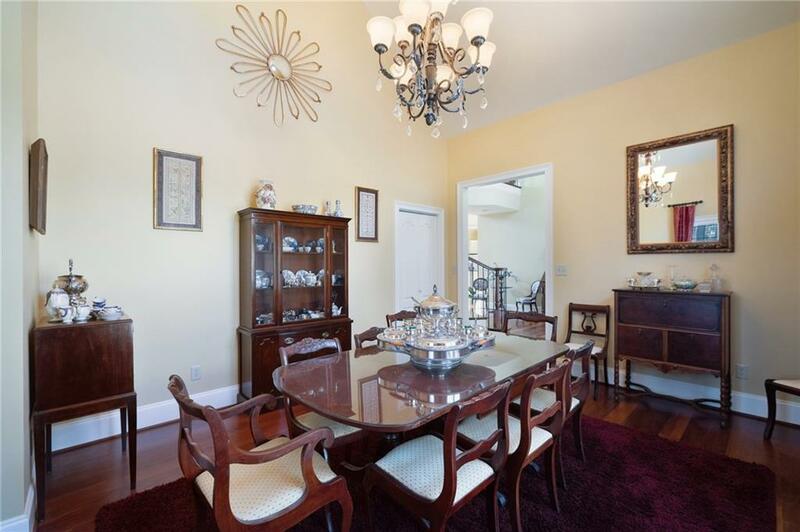 Right beside the front door is a room with a vaulted ceiling and beautiful arched windows, which is currently used as a formal dining room but was originally intended to be a formal living area. 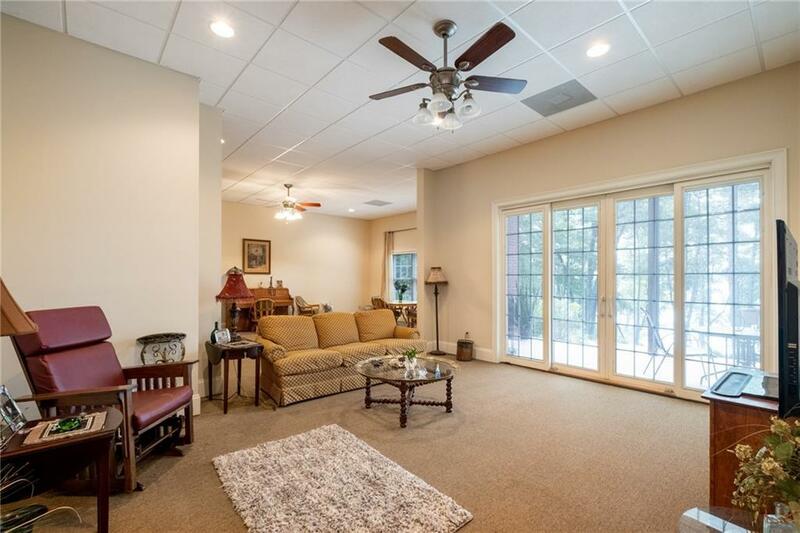 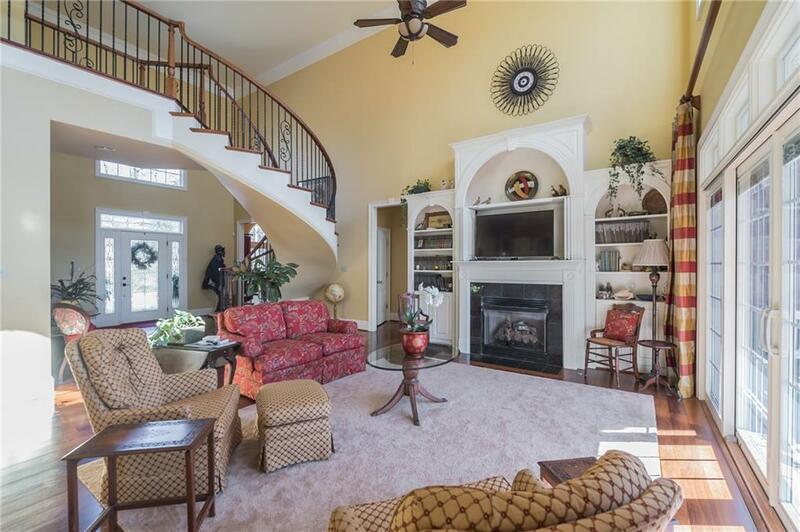 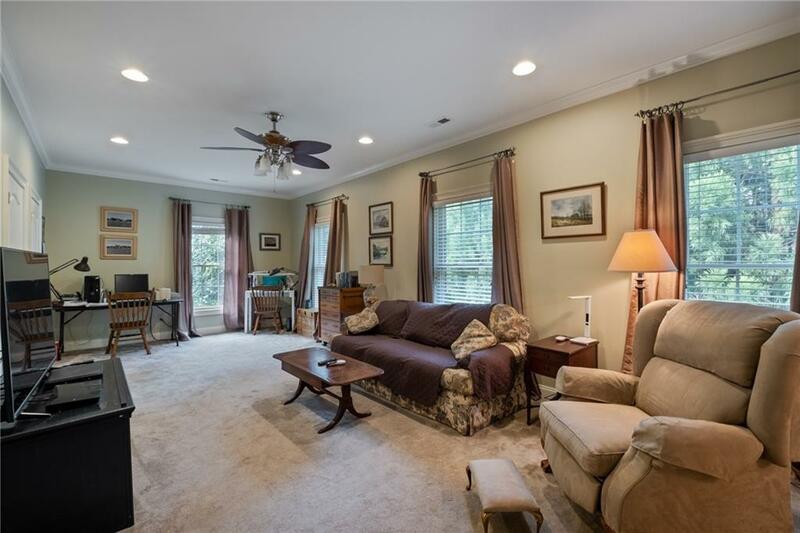 Past the foyer is a beautiful two story great room with tons of natural light, access to a screened porch, built-in bookcases, and a fireplace with gas logs. 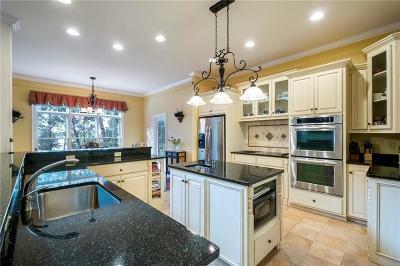 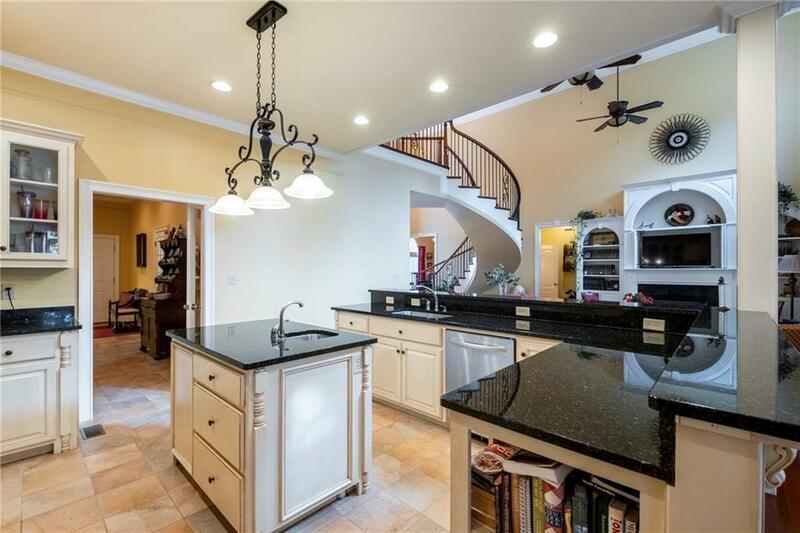 The kitchen features custom maple cabinets, granite counters, travertine backsplash, under cabinet lighting, Kitchen Aid double wall ovens, 6 burner downdraft cooktop, large island with prep sink, & breakfast area overlooking the lake. 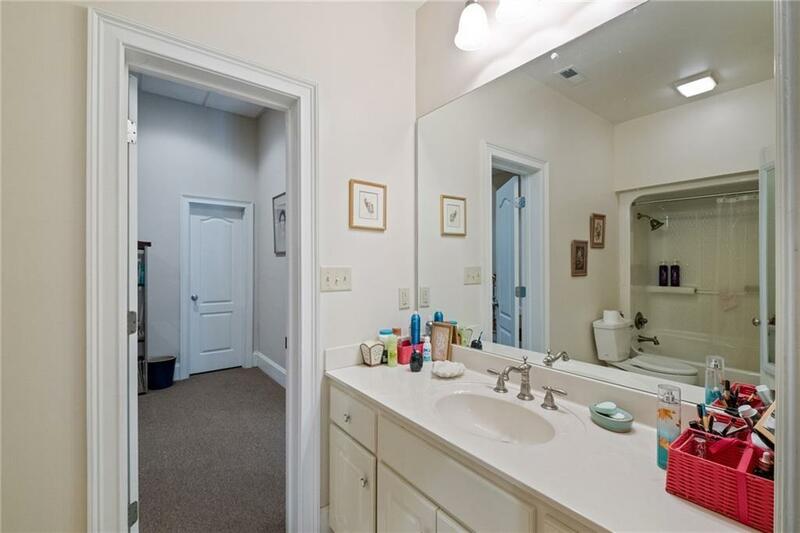 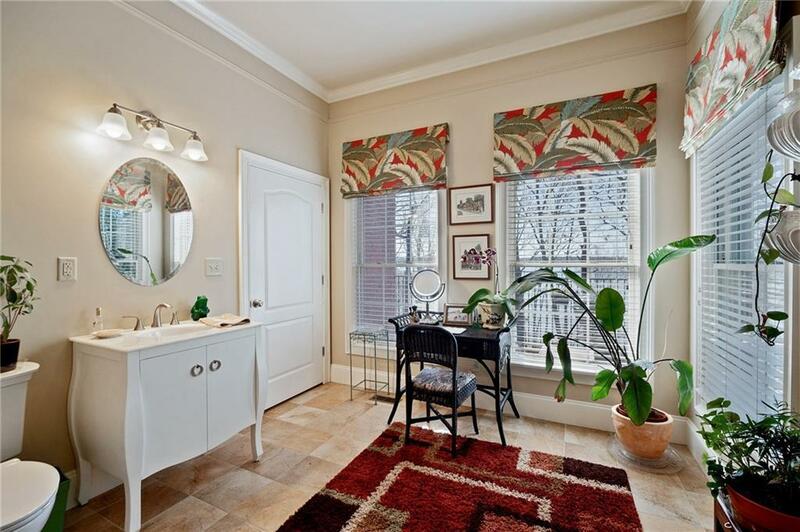 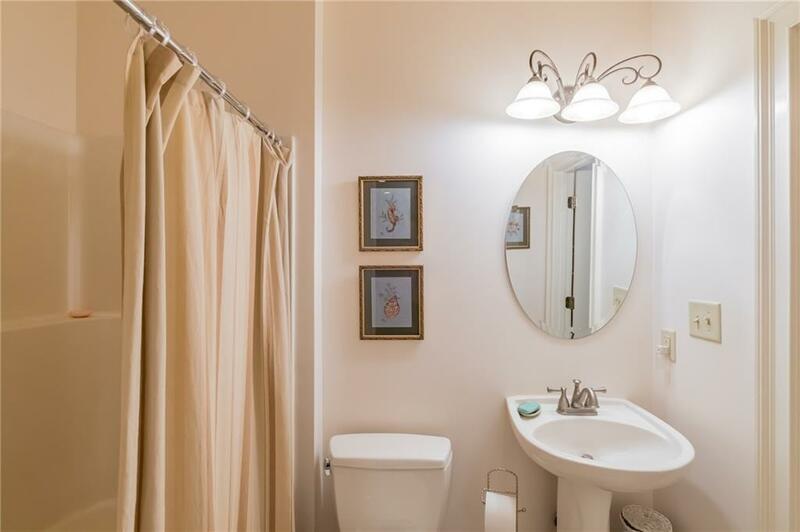 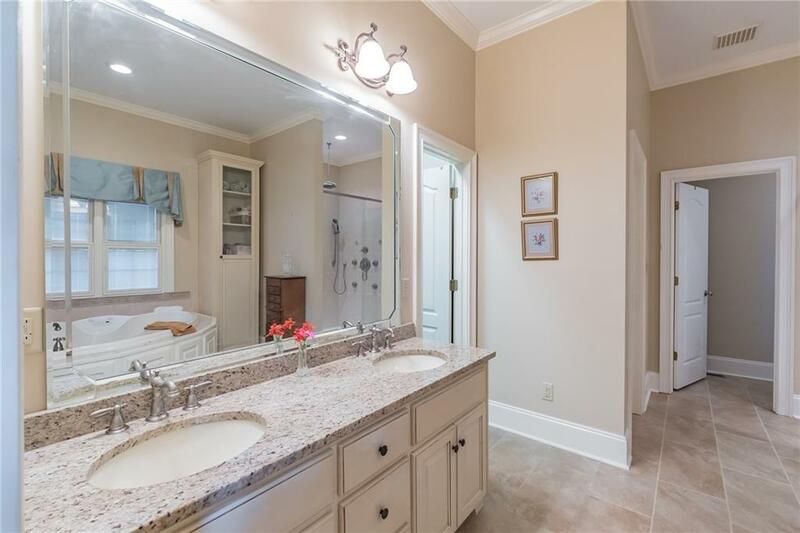 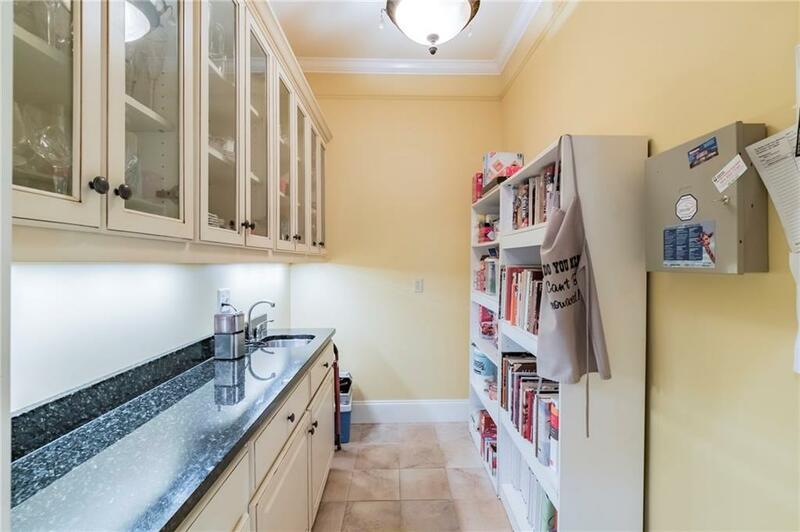 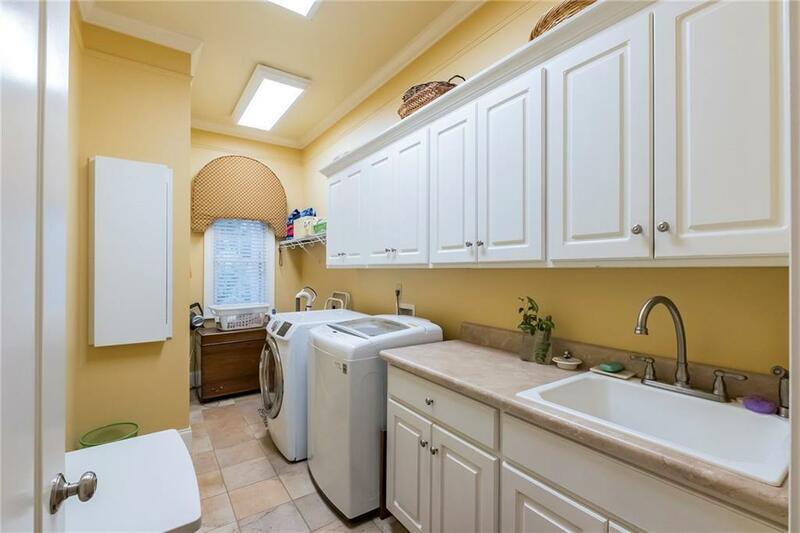 Also on the main level are a powder room, walk-in pantry with sink, walk-in laundry room with built-in ironing board, storage space, and utility sink. 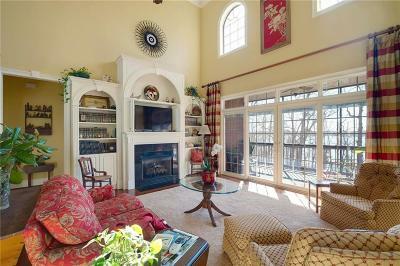 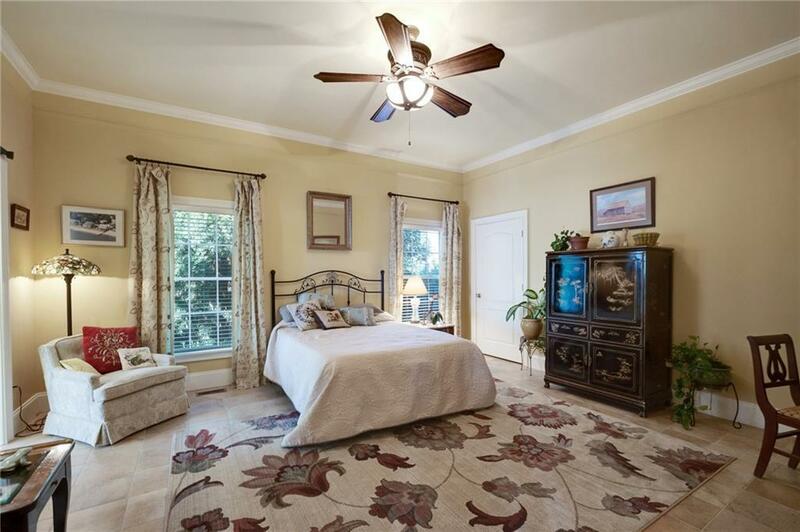 There are TWO main level master suites! 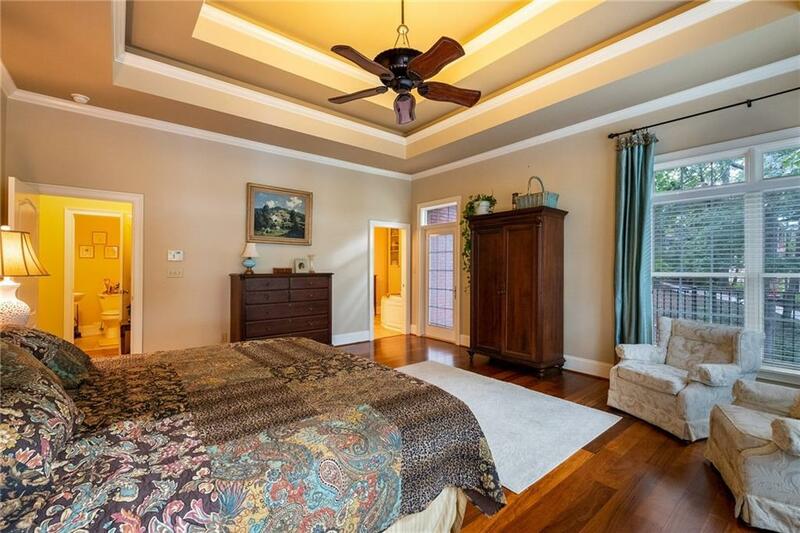 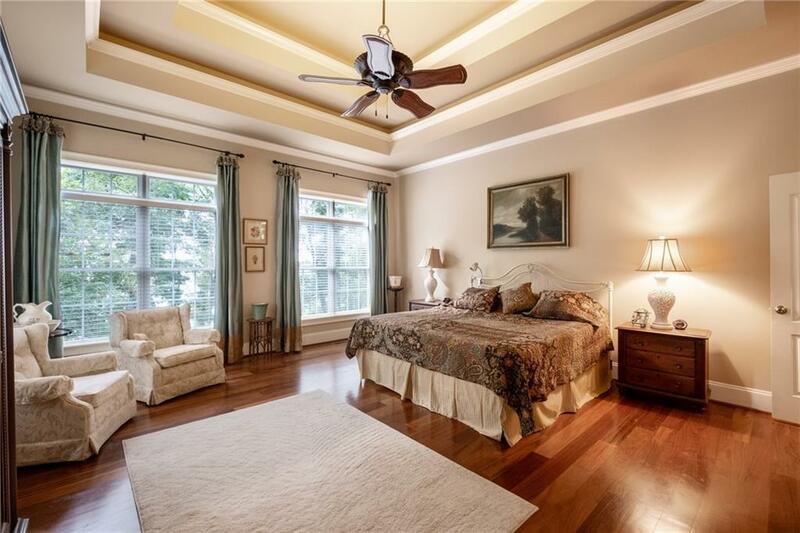 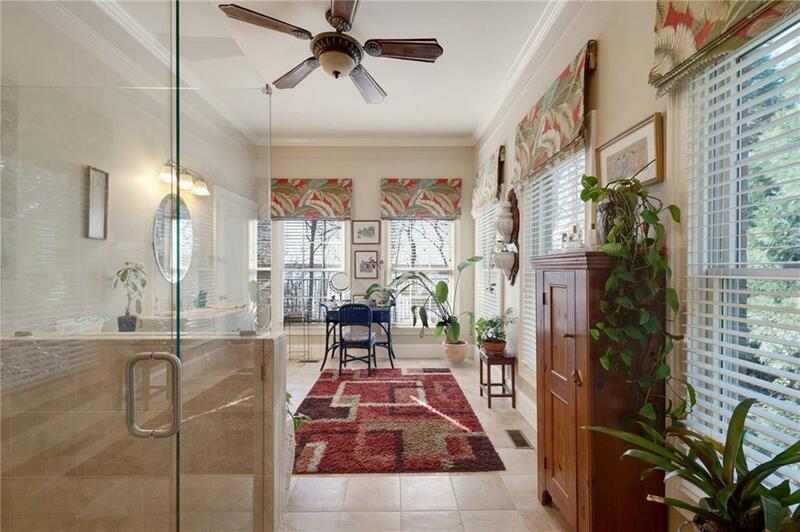 The primary master suite is large and well appointed - multi-tiered tray ceiling with crown molding and accent lighting, teak flooring, private balcony overlooking the lake. 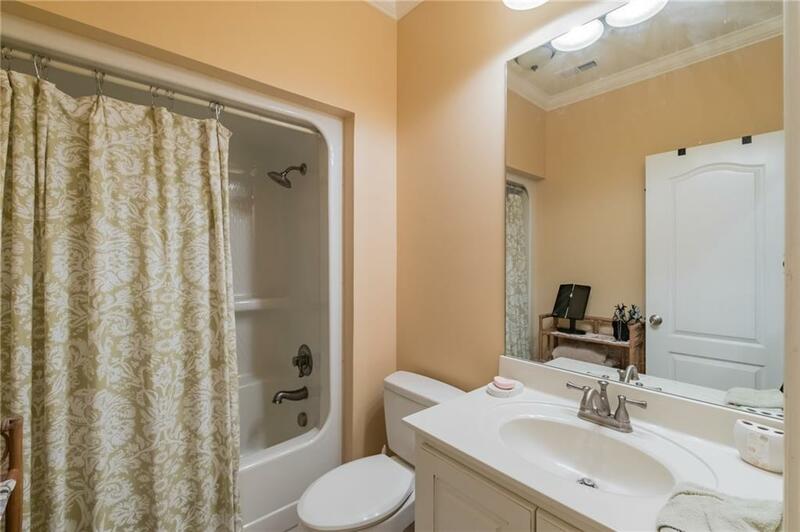 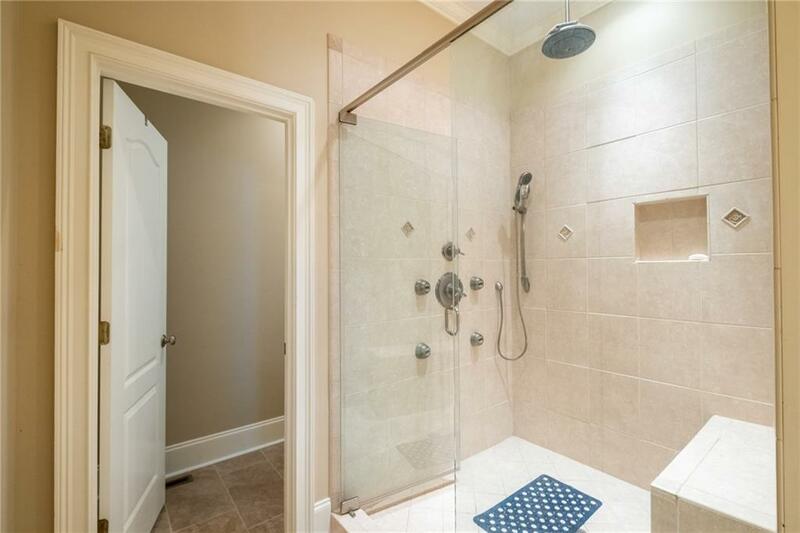 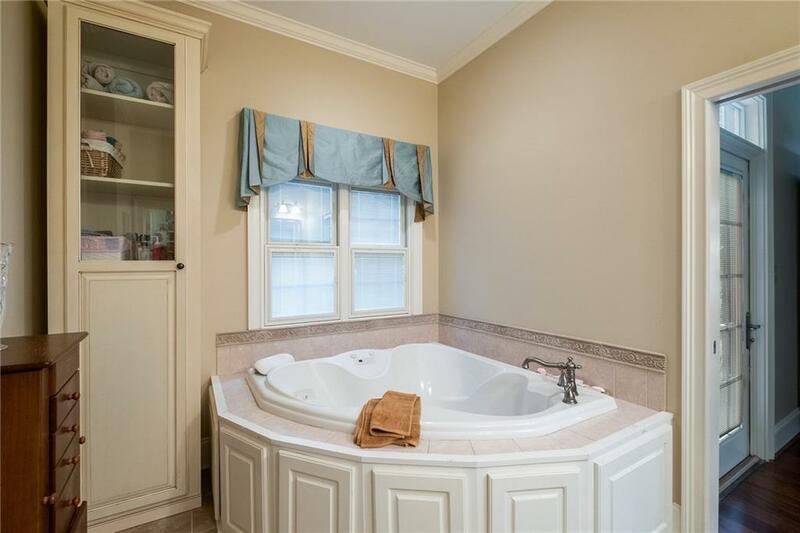 The full adjoining bath features tile flooring, oversized tile walk-in shower multiple shower heads, jetted chromatherapy tub, seaparate water closet with electric toilet & bidet, as well as two walk-in closets. 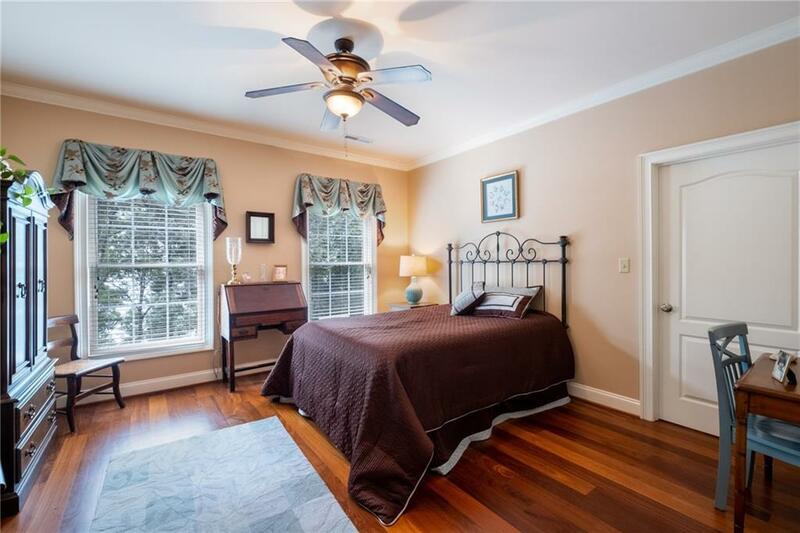 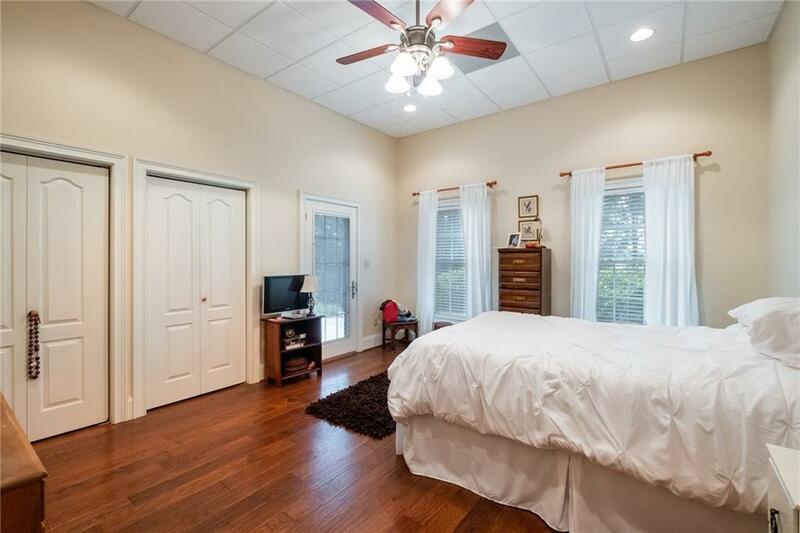 The secondary master suite was added within the last two years - the entire bedroom & bedroom have travertine flooring, and the doorways and shower are handicap accessible. 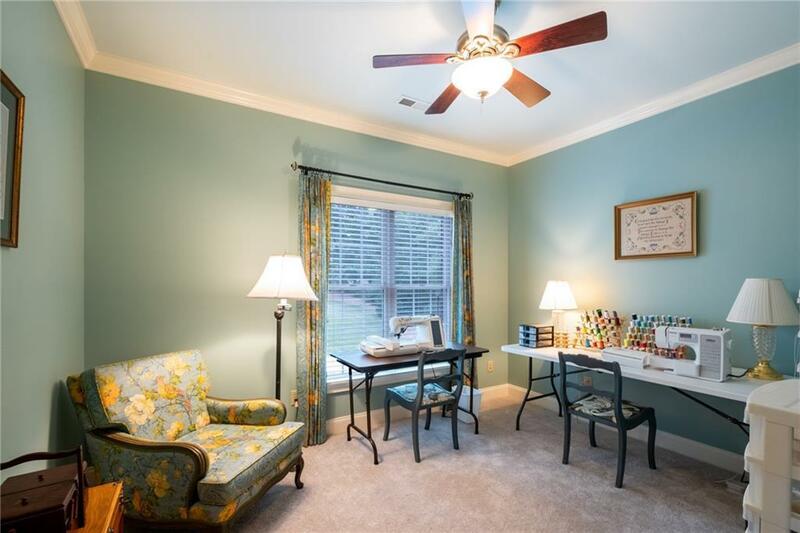 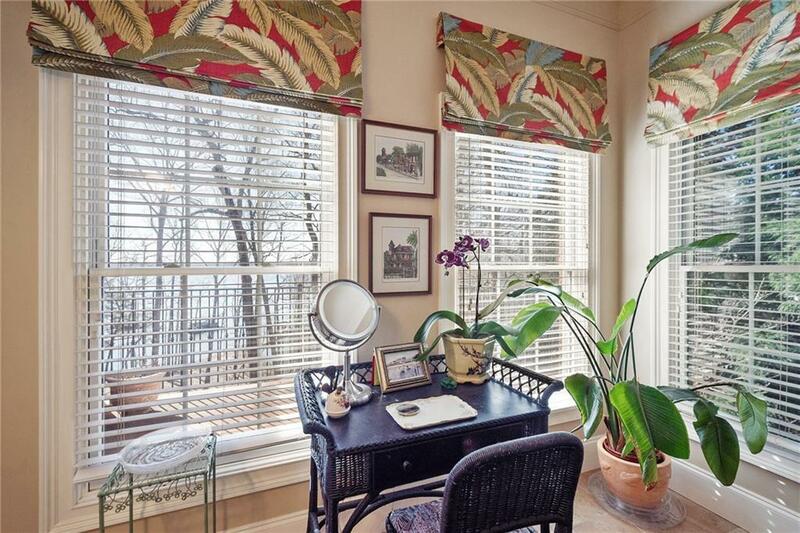 The second level has an additional 3 bedrooms, 2 full bathrooms, and an office/craft room. 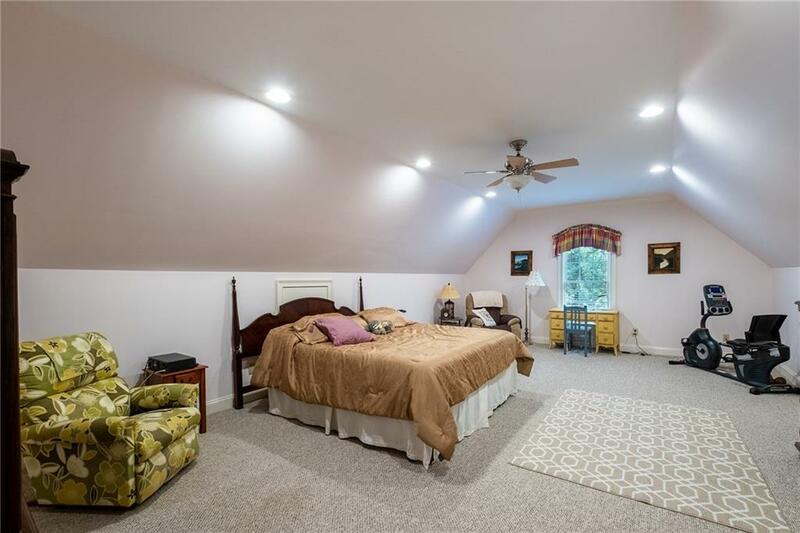 The finished lower level has a large rec room/flex space, additional bedroom, and another full bathroom. 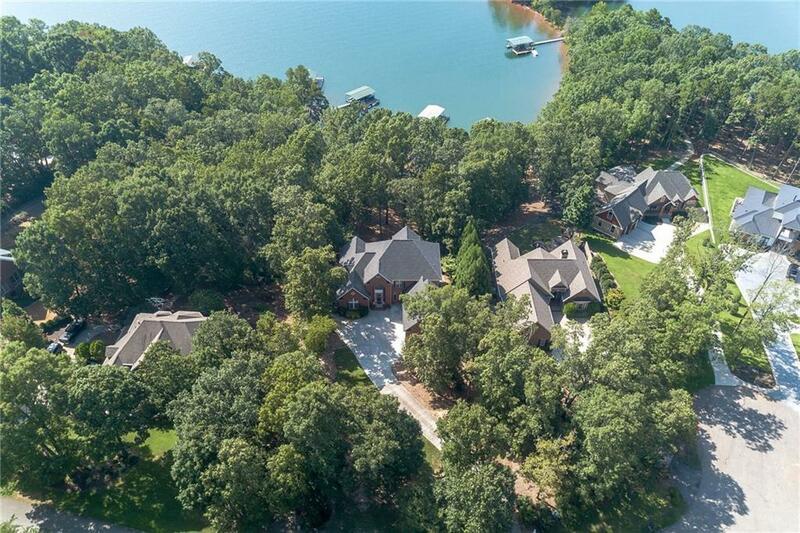 On the exterior, the driveway connects on either side of the home to a concrete path that leads down to the lake, where there is a golf cart parking pad/turnaround area. 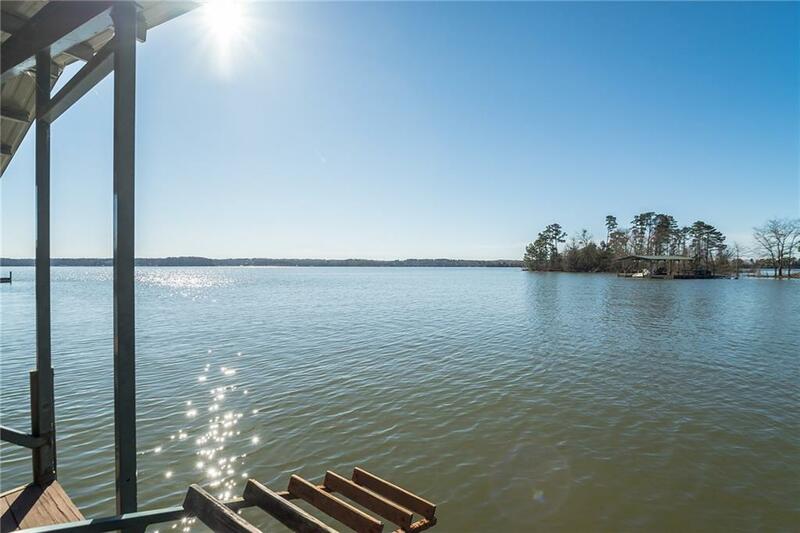 The shoreline is partially rip-rapped, a covered dock with a 60' gangwalk is in place, and there's always good water!